Apple just shipped their first wearable, which has huge implications for the consumer-facing Internet of Things. In this episode we talk about Apple Watch after spending some time with it, and ultimately recommend whether or not you should buy one. Related to Siri 3rd generation? Will traditional high-end watch buyers buy Apple Watch? This is the third in a 4-episode exclusive series where we delve into GE’s Industrial Internet initiatives. This is the side of the Internet of Things you don’t usually get to see! We talk to Arnie about the challenges and opportunities of user experience design at an industrial scale, and how great UX design puts people and problems first, and technology at their service. Arnie Lund is a Connected Experience Technology Leader and Pioneer. Lund has spent over two decades in the field of human and computer interaction creating amazing innovations in data visualization and User Experience Field in Emerging Technologies. He has over 40 patents filed and granted and over 80 publications and presentations. This is the second in a 4-episode exclusive series where we delve into GE’s Industrial Internet initiatives. This is the side of the Internet of Things you don’t usually get to see! Julian Keith Loren has been building design and innovation teams and taking on large-scale, multi-faceted design challenges for over 20 years. Currently, he leads a worldwide collaboration to design and develop Operations Optimization products for GE’s Industrial Internet. Julian is the Co-Founder of the Innovation Management Institute where he designs and facilitates Gameferences — unforgettable face-to-face games that drive deep exploration and breakaway design. Julian also lectures and runs collaborative design games at Stanford University and the University of California, Berkeley and speaks and writes about audacious innovation. This is our first in a 4-episode exclusive series where we delve into GE’s Industrial Internet initiatives. This is the side of the Internet of Things you don’t usually get to see! Our first conversation features Stephan Biller, GE’s Chief Manufacturing Scientist. Stephan is responsible for the company’s global advanced manufacturing strategy and the development of GE’s Brilliant Factory initiative across GE businesses to increase speed and productivity. Prior to being named to this position in April 2012, he was a Technical Fellow & Global Group Manager for Manufacturing Systems at General Motors’ R&D. Stephan received a degree in Electrical Engineering from RWTH Aachen, Germany, a Ph.D. in Industrial Engineering and Management Science from Northwestern University, and an MBA from the University of Michigan. He has been granted nine patents, developed 22 trade secrets, and co-authored more than 60 peer-reviewed publications. This week’s podcast is our first “cross-cast” — the episode appears both in Farstuff, and in The SmartHome Show by SmartFriend™ and excellent guest Michael Wolf. Mike is one of the industry’s most well known connected home analysts, and the founder of NextMarket Insights — a research firm focused on emerging technologies. Before that he served as VP of Research for GigaOM, and created and managed research and advisory groups for ABI Research and In-Stat, where he created the world’s first dedicated connected home research service. This week we get to know Todd Greene, CEO of PubNub, a company that’s created a Realtime IoT Network that will help the Internet of Things communicate more effectively. Join us as we discuss where IoT is headed and what are the major challenges we see as “smart” things become more ubiquitous and require more of our web traffic. 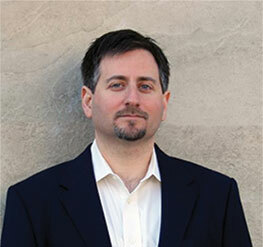 Todd Greene is founder and CEO of PubNub. Prior to founding PubNub, he was the founder and CEO of Loyalize, a company that provided real-time Audience Participation software, synchronizing TV viewers with collaborative voting and chatting apps on their phones/tablets. After closing deals with Yahoo! and Viacom, and being selected by Forbes as “one of the four hottest ad companies” in 2011, Loyalize was acquired by Robert FX Sillerman, the owner of American Idol. The challenge of real-time synchronization of millions of audience members turned out to have many similarities to the challenges of reliable connectivity for IoT, which placed Todd on his current journey at PubNub. Previously, Todd served in leadership roles in software companies across the spectrum, from enterprise to infrastructure to consumer software companies. Todd joined his first startup in 1996, as the 11th employee of NetDynamics, the very first app server for the Internet. He later founded and was CTO of CascadeWorks, a SaaS Services Procurement company, sold to Elance in 2003. PubNub provides a global Realtime Network that solves the problems of large-scale IoT connectivity in the wild, enabling IoT providers to focus on their core business.